Steven Lawrence Wright, 37, of Altadena was mistakenly released from the Inmate Reception Center in the 400 block of Bauchet Street in downtown Los Angeles Saturday, Jan. 30, 2016. An alleged murder suspect mistakenly released from a downtown Los Angeles jail was taken into custody on Monday in Boulder City, Nevada, according to the Los Angeles County Sheriff's Department. Steven Lawrence Wright was taken into custody at a hotel at about 11:45 a.m. after viewer tips from the public helped lead investigators to the 37-year-old suspect. The FBI and local police agencies assisted in the apprehension, and Wright was taken into custody without incident. The Los Angeles County Board of Supervisors approved offering a $20,000 reward for information leading to Wright's capture after he was accidentally released from the Inmate Reception Center on Jan. 30. Deputies didn't realize the mistake until more than 24 hours later, when they launched their manhunt. Wright had been behind bars since April 2011 following his arrest in the shooting death of a 47-year-old man that year in Pasadena, California. 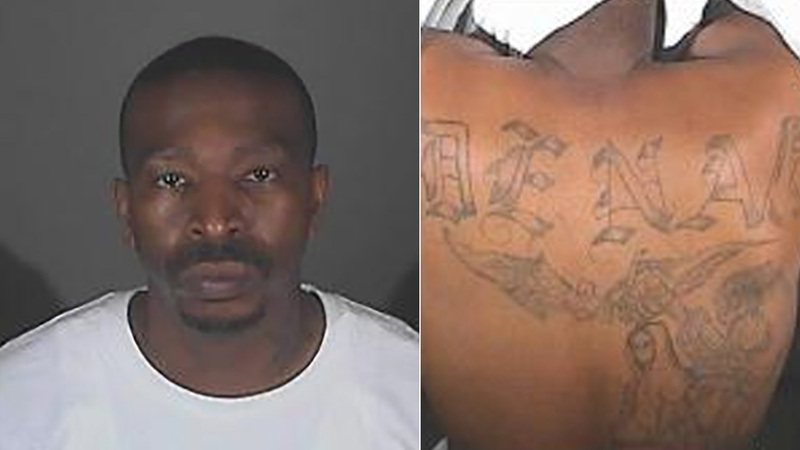 At the time, police said Wright belonged to the Altadena Blocc Crips, and that the victim belonged to a rival gang. Wright had been found guilty of the killing in 2014 but his conviction was overturned last year after a judge found the trial wasn't fair. Wright was set for a preliminary hearing in a new murder trial next month, when he also was set to be sentenced for an attempted murder conviction. Wright will be held in a Nevada custody facility, pending an extradition hearing. No additional charges were expected to be filed.